One of my dear friends brought this cake when I had her over for dinner a few weeks ago. 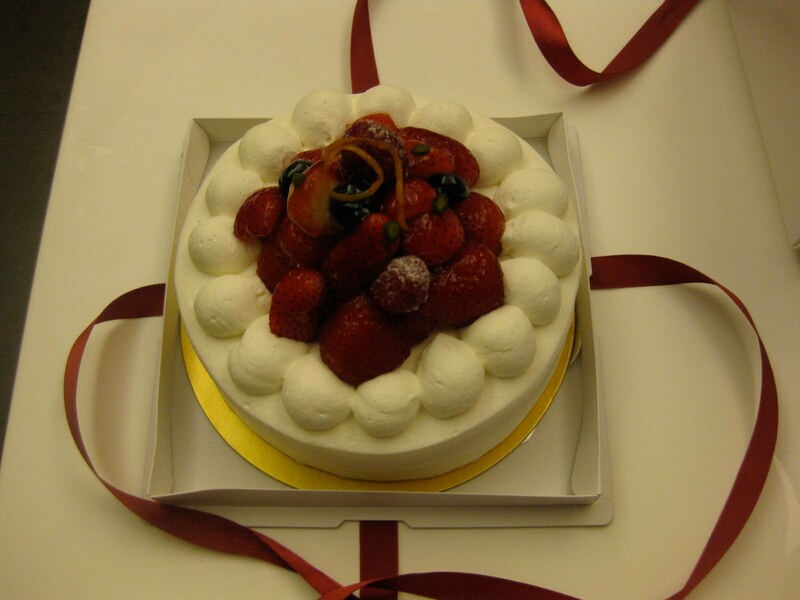 It is a very light fresh cream cake with strawberries on top and in a few layers of the cake. The best thing about the it is that it isn't too sweet. Great news for my dad who has dangerously high blood sugar and for me, a likely diabetic in the future. The cake is from Patisserie Yamakawa in City Super. HKD 250. For the other locations, click here.